Arkansas is off to a 7-1 start, their best since 2005. North Little Rock, AR-Racing out to an early lead, the Arkansas Travelers had to hang on but won their home opener over the Tulsa Drillers, 9-8 on Thursday night at Dickey-Stephens Park. The win boosts the Travs to 7-1 on the season, their best start since 2005. Jake Fraley crushed a three-run homer, the only hit in a four-run second inning that staked Arkansas to the early lead. The Travs added a pair of runs in both the fourth and sixth innings, building their lead to as many as seven. With just eight hits in the game, the Travs took advantage of six walks and two batters hit by a pitch. Zac Grotz was brilliant in a short start, working four innings of no hit baseball while surrendering just a pair of hit batsmen. After Tulsa strung together their late rally, Art Warren slammed the door in the ninth for his third save. 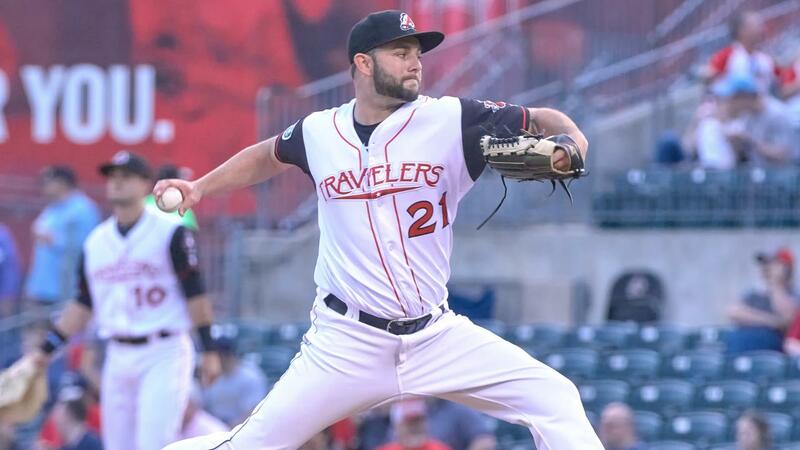 Aaron Knapp had a pair of run scoring hits for the Travs including an RBI single in the bottom of the eighth inning that turned out to be the difference in the game. * The first run of the night came as a result of a double steal with Donnie Walton taking second and Chris Mariscal swiping home. Two batters later, Fraley crushed his three-run blast. * Knapp made Tulsa pay for three walks in the sixth inning with a two-run single that pushed the lead out to seven. * Warren struck out Cristian Santana to end the game after Tulsa had closed within one and put the tying run on base. Game two of the series is Friday night with a 7:10 first pitch. Lefty Anthony Misiewicz (0-1, 1.69) gets the start for the Travs against a yet to be announced pitcher for Tulsa. It is the first Diamantes Night of the season and there is a postgame fireworks show. The game will also be broadcast on the Sports Animal 920, the First Pitch App, TuneIn radio and milb.tv.